With only a year to go before the next federal election, New Democrats have joined Conservatives in trying to knock Liberal Leader Justin Trudeau off his perch as the front-runner. Sep. 11, 2014 7:23 p.m.
EDMONTON — With only a year to go before the next federal election, New Democrats have joined Conservatives in trying to knock Liberal Leader Justin Trudeau off his perch as the front-runner. NDP Leader Tom Mulcair declared open season Thursday on Trudeau, mocking the “getting ready to lead” slogan used in the most recent Liberal ad. “They won’t tell us what they’ll do but they think it’s reassuring to tell us that their guy’s getting ready,” Mulcair said in a campaign-style stem-winder wrapping up a two-day NDP caucus strategy session. The NDP leader also accused Trudeau of having no concrete solutions and no ideas. In contrast to the neophyte Liberal leader, Mulcair touted his own experience and his party’s substantive policy planks to assert that the NDP is ready now to take over from Prime Minister Stephen Harper’s Conservatives. 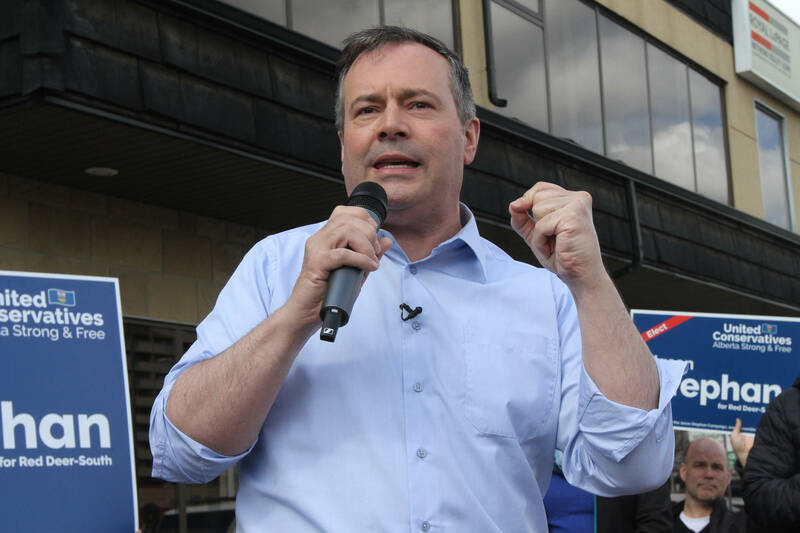 “After nine long years of Conservative policies, Canadians just can’t afford to wait for someone who’s getting ready to take on Stephen Harper,” he said. The NDP vaulted past the Liberals in the 2011 election to become the official Opposition for the first time, giving New Democrats confidence that they were on the cusp of finally taking power in the next election. But since Trudeau took the helm 18 months ago, the Liberals have risen from their apparent deathbed to take a healthy lead in public opinion polls, relegating New Democrats to their more familiar, third-place position. NDP strategists and MPs have been frustrated that a leader they consider a featherweight greenhorn has managed to eclipse the more-seasoned Mulcair, who has been unveiling policy planks and has been lauded for his strong performance grilling Harper in the House of Commons. In openly questioning Trudeau’s fitness to govern, the NDP is echoing the Conservatives, who’ve attacked him relentlessly from the moment he took over as leader. However, the Tory attack ads have so far not dented Trudeau’s popularity. Indeed, Liberals maintain they’ve actually helped reinforce the perception that Harper is a bully and that Trudeau is a more hopeful, positive,different kind of political leader. By joining the attack, Trudeau warned that Mulcair risks being seen as too much like Harper, the prime minister he wants to replace. “I think we have nasty negativity and divisive attacks from the right. I know Canadians don’t want that from the left,” Trudeau said in an interview. While Harper and Mulcair focus on him, Trudeau said he’ll focus on Canadians. And he said he won’t return fire with personal attacks on his opponents. As for the “getting ready to lead” tag line in the last Liberal ad, Trudeau said it was aimed at being honest with Canadians rather than employing “clever attacks” on opponents. It reflected the fact that Liberals are in the process of building a team and a plan, which he said will be ready in time for the next campaign. But Mulcair insisted Thursday that there’s little to separate the Liberals from the Conservatives. He accused both parties of overseeing a growing gap between rich and poor, of failing to deliver on promises to provide child-care spaces and of preferring to cut taxes for rich corporations rather than preserve funding for health care. Indeed, Mulcair said Trudeau himself has “complacently” argued that Liberals and Conservatives have broadly shared the same values and agenda over the past 30 years. “I promise you, I don’t share Stephen Harper’s agenda,” Mulcair said. “But maybe it’s because Liberals and Conservatives share the same agenda that the middle class is doing so poorly. Maybe we should do something about that. The NDP is promising to roll out this fall — a full year ahead of the next scheduled campaign — detailed planks from their eventual platform, including plans for a national child-care program, a federal minimum wage and infrastructure investment. The aim is to further contrast Mulcair’s substance with Trudeau’s refusal to be nailed down on major policy before the campaign actually begins.